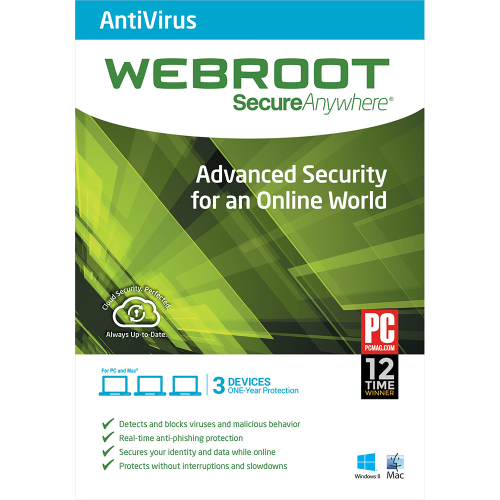 Webroot SecureAnywhere protects you from online threats with the world’s most powerful cloud security solution, keeping you safe no matter how or where you connect. It scans faster, uses fewer system resources, and protects you in real-time by instantly blocking new threats as soon as they appear. Our network of threat analysis engines and sensors analyzes files, phishing sites, malicious web pages, IP addresses, and mobile apps providing an always up-to-date view of current threats and enabling instantaneous protection from new infections. 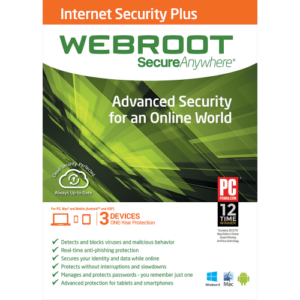 Webroot’s “full-scale security with next to no performance impact” again earned PC Magazine’s industry touted Editor’s Choice award. Just set it and forget it. With Webroot’s cloud based detection, you will always have the latest version. 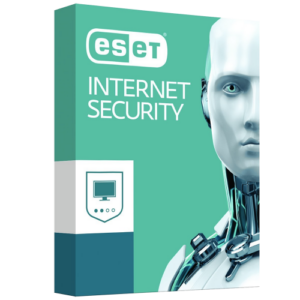 Blocks viruses, spyware, worms, Trojans, rootkits and other online threats before they infect your PC. Doesn’t affect performance while PC gaming online or offline. No annoying slowdowns or lags you may experience with other antivirus software. No need for Gamer Mode or Silent Mode which leave you unprotected. 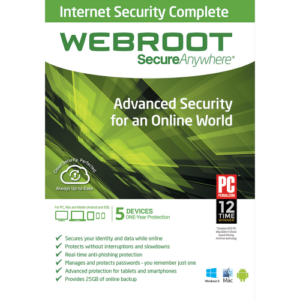 Webroot’s internet security software earned PC Magazine’s industry touted Editor’s Choice award for the 12th time.